The Fisher Gold Bug series continue to take the prospecting and relic hunting communities by storm! 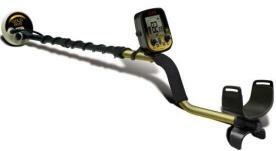 These units are extremely hot and loaded with features you can really use. All Fisher units come with a 5 year warranty and are proudly made in the USA. 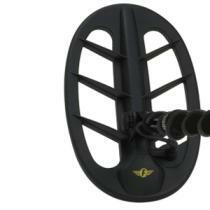 They have incredible target separation, sensitivity and its ability to see through iron is unrivaled. They balance all the way to salt, are lightning fast and have V-Break, which is the industry’s first adjustable audio break point — and it’s not just for iron targets! 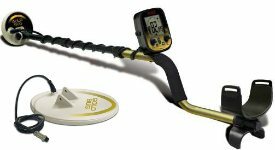 Combine this with proven features that have been offered on Fisher detectors for years like: 40 points of iron resolution, 1-99 target ID in big easy to read numbers, lightning fast recovery speed, lightweight with superior ergonomics. 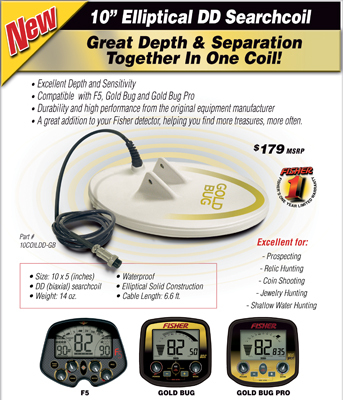 Fisher's exclusive Ground Grab is the industry’s best and easiest ground balancing system and the 11” Bi-Axial DD coil is widely regarded as the best DD coil in the industry. These high performing, affordable detectors have the best feature set in the industry and can’t be beat at any price! 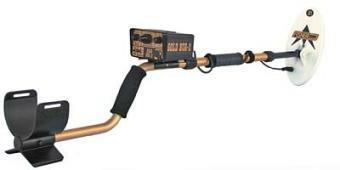 If you are prospecting for gold in the desert, the Fisher Gold Bug PRO is your best bet.